Even though a common border was delineated by the Taif Treaty in 1934 (1), Saudi Arabia and Yemen have had continued conflict over the issue. The possible oil reserves, civil war, and Saudi interventions in Yemeni politics have driven the conflict for much of the last century. While many of the confrontations have been relatively sporadic, in the late 1990’s a number of building tensions came to a head, resulting in violent conflict. 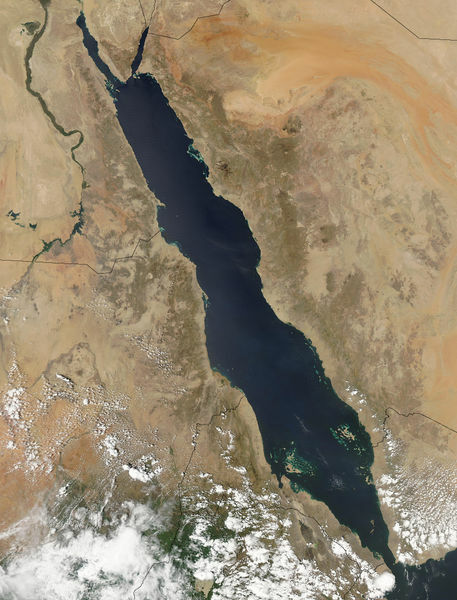 A clash over ownership of three islands in the Red Sea resulted in a number of deaths and yet another peace agreement. The question remains, will these new agreements lead to sustained peace, or is it temporary in an extended conflict. In 1934, the new kingdom of Saudi Arabia and its southern neighbor, Yemen, signed a treaty which brought an end to a violent war. The Taif Treaty essentially established a common border between the two nations. Interestingly enough, even with the treaty signed, the border issue has never seemed to definitively resolve. Much of the strife has likely stemmed from the internal turmoil within Yemen, which then simply spilled over into its relations with Saudi Arabia. 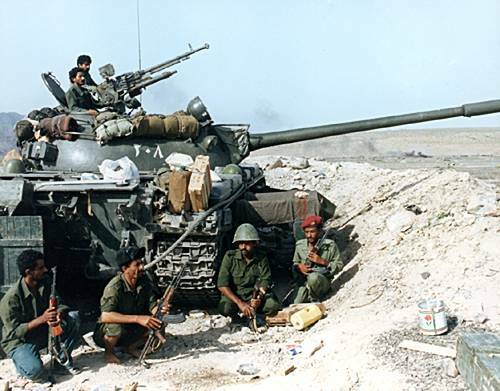 In the late 1980’s after fighting a long bloody civil war, Southern Yemen was devastated to the point where it had no choice but to unify with the North. The newly unified nation sided with Iraq, and essentially against the Saudi’s, in the Gulf War, further severing any positive ties. In 1992 intermittent talks revived to settle the boarder questions between the two governments. However, hostilities renewed when Saudi Arabia backed Southern rebellious factions, which were ultimately defeated, against the central government in the Yemeni civil war in 1994. Shortly after a new clash flared up in the Najran area, where there are believed to be oil reserves(2). Having been weakened by the civil war, Yemen’s position toward Saudi Arabia became more accommodating, and attempts to resolve the disputes recommenced. 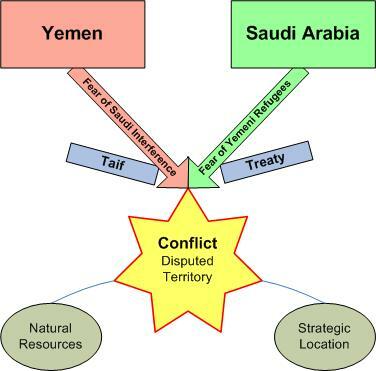 In June of 1995 the Treaty of Taif was officially renewed, remarking the far western boundary and establishing a framework for settling the last part of the disputed border to the east. It is important to remember that historical borders have always been rather imprecise in this region. The nomadic indigenous populations and political instability of the region contributed heavily to the lack of defined boundaries. Without true established historical borders to reference, the drawing up of modern finite borders have always been problematic. Again, just as they had over the last fifty years under the original treaty, disputes continued to flare up, the most significant of which came in May of 1998. Specifically disagreements arose over the ownership of a number of Red Sea islands, spurred on by a report that a Syrian accused of bombing and assassination attempts had been recruited by Saudi intelligence. According to Saudi Arabia, on May 1st 1998 Yemen sent troops to occupy the disputed islands, opening fire on Saudi border guards. After that initial claim, both sides reported a number of boarder infractions, several of which then resulted in violence. Specifically there were known battles on Duwamish Island, one of three islands claimed by both countries, where Saudi naval and long range artillery attacked the island, killing three. 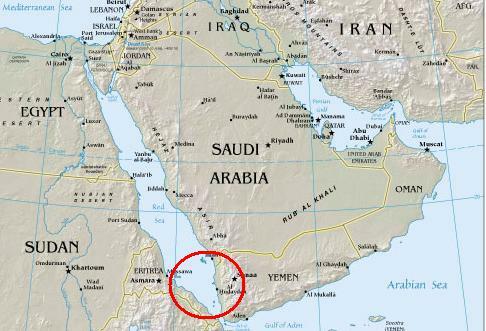 Saudi Arabia claims that 75% of the island belongs to them, while Yemen claims the entire island is their territory. Again, shortly after the clash, both sides declared they wanted to continue efforts to settle the disputes. In June of 2000, Saudi Arabia and Yemen signed another border agreement based upon the border defined by the Taif Agreement of 1934. The reasons for the continued conflict have varied substantially. The primary issue of the border dispute has been accentuated by a number of other tensions. Environmentally speaking, the land disputed is thought to potentially contain valuable oil reserves. Additional economic benefits from seafood and fish products also clearly increase the value of the islands. Clearly this source of economic wealth is desirable for both nations, particularly the economically depressed Yemen. From a political prospective, it has long been said by observers that monarchical Saudi Arabia is hostile toward the Yemeni democracy. Yemen being the only democratic nation on the Arabia Peninsula, has often claimed the Saudi’s have attempted to militarily intimidate and even sabotage the democratic regime. Yemen’s government has often blamed the Saudi’s for any internal strife, regardless of the availability of adequate proof. One such known example of Saudi contributions to domestic struggles within Yemen occurred just prior to the border conflict, during the Yemen Tribal uprising and civil war with Southern factions. From a Saudi perspective, Yemen’s tremendous poverty stricken populous has been viewed as a constant threat. In the 1970’s and 1980’s the war between southern and northern Yemen, resulted in thousands of refugees heading north(3). Since this time, the Saudi’s have been wary of a potential mass exodus of Yemen’s poor, seeking refuge with its wealthy neighbor. Clearly it is a combination of a century of conflict which contributed to the renewed violence in the mid 1990’s. The primary time period of concern for this case study is between May 1998 and June 2000. It is during these 2 years that the most recent iteration of the conflict occurred. It is important however to understand that the violence which took place in 1998, is only a single confrontation within the context of an extended conflict. There have been border disputes between Saudi Arabia and Yemen for most of the 20th century. The disputed islands are located just off the Arabian Peninsula in the Red Sea. Historical claims to these islands is very difficult identify. Primarily this is due to the lack of dominate political power in the Arabian Peninsula. Up until the...., power in the region shifted often, with authority lying in the hands of clan leaders. The largely artificial boundaries drawn up by modern colonial powers, were not based necessarily upon historical records or even logical geographic landmarks. For this reason neither Yemen nor Saudi Arabia have a clear cut historical claim to the land. Like the rest of the region the islands are very dry. The excessive heat and lack of rain result in what should be considered an extreme habitat. The environmental element of the dispute is primarily territorial. Ownership of the islands in question has been in doubt for much of the last one hundred years. While there is believed to be oil reserves in this territory, the resource value of the land is rather unclear. However Yemen, who constantly faces economic hardship, has substantial need to any potential wealth from natural recourses. There is a rather small population of people who reside on these islands, which also likely contributes to the significance of this land (4). The conflict level is undoubtedly categorized as open war between two countries, specifically between the governments of Yemen and Saudi Arabia. This interstate dispute, reached a rather low level conflict, with both sides openly using military force. Specifically it is known that Saudi Arabia deployed navel and army units in the assault of Duwamish Island, in response to Yemeni control. While there are known to be a number of causalities the exact numbers are difficult to confirm, particularly when looking at the larger conflict over the past 50 years. As often is the case with civilian casualties, it is suspected many of these have gone unaccounted. Specifically from the conflict in 1998 it is believed that several dozen, both military and resident non-military casualties occurred. The level of strategic interest is relatively low, primarily attracting attention at the regional level. The potential resources and strategic location of the disputed islands have little impact on actors outside the region. There is no evidence that external actors have played a significant role in this low level border dispute. On the surface the outcome of this dispute would likely be considered a compromise, as it resulted in the signing of a treaty based on the boundaries outlined in the Taif Treaty of 1934. However the outcome could be better described as a stalemate. Essentially the treaty signed in 2000, demonstrated no real progress in compromise. In fact a number of such agreements had been made only to fail since the original treaty in 1934. It would not be a surprise to see this dispute to flair up once again, as it did in the late 1990's, if other tensions build between the two nations. (3) Cordesman, Anthony. (2003).Saudi Arabia Enters the Twenty-First Century: The Political, Foreign Policy, Economic, and Energy. Page 63 - 67. (4) Klare, Michael. (2002). Resource Wars: The New Landscape of Global Conflict. Page 228. (6) "Civil War In Yemen," Microsoft® Encarta® Encyclopedia. http://encarta.msn.com © 1993-2004 Microsoft Corporation. All rights reserved.